Leamon Green understands the impact of history and culture in our society. 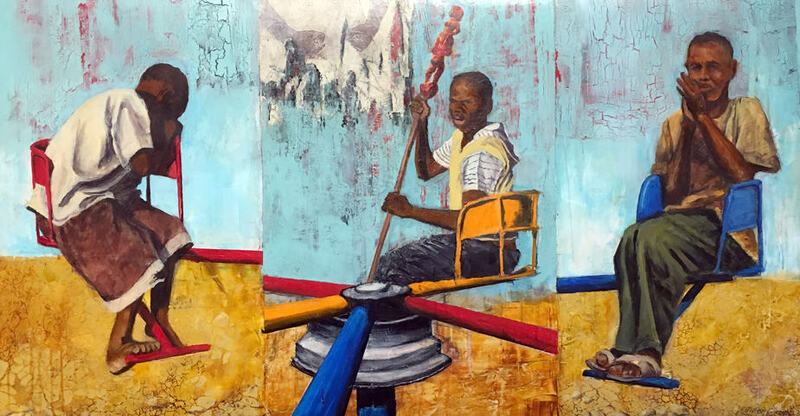 His work depicts the complexities of African identity in an age of increased global awareness and migration. For his latest collection, “Look at Them,” Green created large-scale prints with the use of an industrial-size steamroller. Each piece features highly textured, richly black jagged patterns out of which emerge the human figures that take center stage. The people in Green’s work are often engaged in simple activities. This sensitive portrayal of African-Americans is enhanced by Green’s the bold, soulful technique. Green currently serves as Chair of Department of Visual and Performing Arts at Texas Southern University. 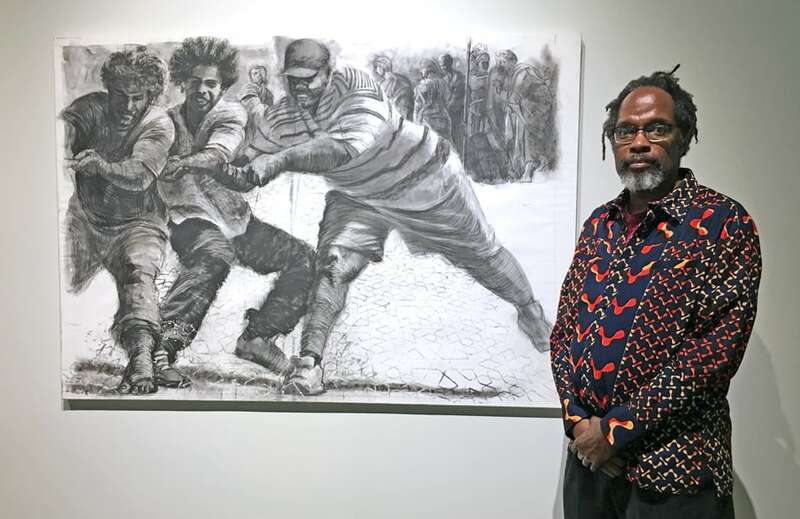 His solo exhibitions include shows at Hooks-Epstein Galleries, the Galveston Arts Center, and the African American Museum in Dallas. “Look at Them” will be available for public viewing through October 13, 2016 at The University of Houston-Downtown O’Kane Gallery.